The Sydney Forum for Architecture and Urban Design Inc is a not-for-profit association incorporated in the state of New South Wales, dedicated to exchanging ideas on placemaking - how to make cities better, more liveable places. On Saturday, April 20th, 2019, there'll be a SFAUDi return trip to Newcastle, to experience the new light rail line in action, and to consider its impact on the future development of the city, as plans are considered for expanding the current 2.7 kilometre line into a larger network across Newcastle. Once again, David Wilson, of Transport for NSW, will be our guide. Meet at Central Station, Sydney, at 9.15, to catch the 9.33 am Newcastle train. OR meet at Wickham Interchange, Newcastle, at 11.50 am approx. Suggested itinerary: light rail from Wickham Interchange to Honeysuckle Light Rail Station, followed by coffee on Honeysuckle Wharf. Continue on light rail to Newcastle Beach Light Rail Station, and then return to Crown Street Light Rail Station, followed by lunch at the Lucky Hotel pub. Remember to bring your Opal Card! Dulwich Hill and Lewisham are not the most obvious Sydney suburbs for a SFAUDi architectural walk, but in fact these rapidly improving neighbourhoods contain a rich seam of architecture from the late nineteenth century onwards. Sections of The Boulevarde (someone added the extra “e”) have heritage protection, with grand Victorian mansions veiled in cast iron lace which would not be out of place in the Garden District of New Orleans, and two former flour mills - Waratah Mills and the Flour Mill at Summer Hill have been converted into upmarket apartments. From California bungalows on the Abergeldie Estate to the fine late Victorian facade of the Dulwich Hill School of Visual Arts and Design on Seaview Street, there is something for everyone, not to mention the well used Johnson Park with its heritage-listed sports stand - and all within easy walking distance of several stops on the new light rail extension. The Dulwich Hill light rail connection has also helped to stimulate the construction of new apartment buildings down the hill on Wardell Road: if the copious graffiti were cleaned up, and the ugly overhead power lines put underground, this could visually enhance the good integration between the light and heavy rail station groundworks and Jack Shanahan Park. Paul McGillick argues that grievance is threatening to stifle what should be a celebration of urban transformation. As the Tasmanian economy finally gets out of first gear, there are big changes happening in the Hobart CBD. 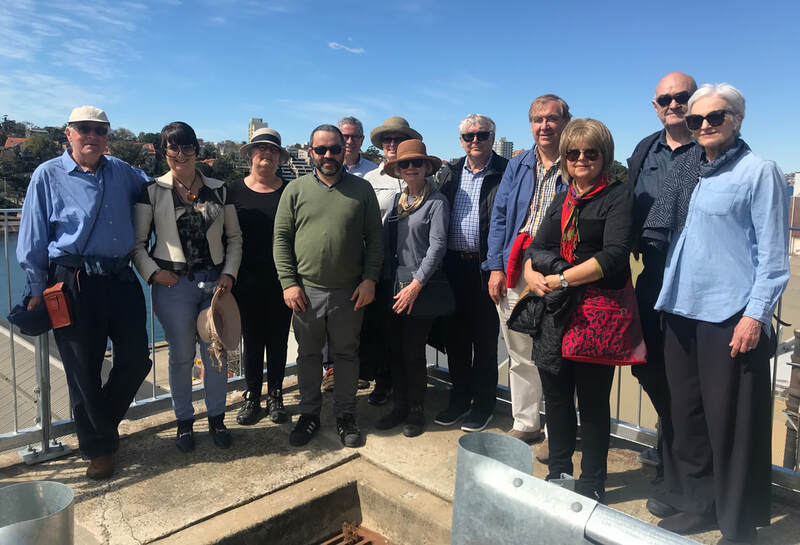 SFAUDi members at HMAS Platypus on Saturday, 01/09/18, during a tour of the new waterside walk connecting North Sydney Ferry Wharf with Kesterton Park. The former submarine base is being gradually opened up for public use and enjoyment, and also includes a barbecue and picnic area, and a submarine themed children’s playground. Work is currently underway on creating new public areas and conserving some of the original buildings. A waterside café is also planned for the future. Simeon King, of Aspect Studios (which has been involved in the project) was the group’s guide (top image, pictured fourth from the left). The Infinity development under construction in July 2018 at Green Square, Sydney. Designed by Koichi Takada Architects, it will be one of the defining buildings of the new Green Square Town Centre, with an underground pedestrian connection to Green Square Station. Part of the glass entrance to the new library is on the right. 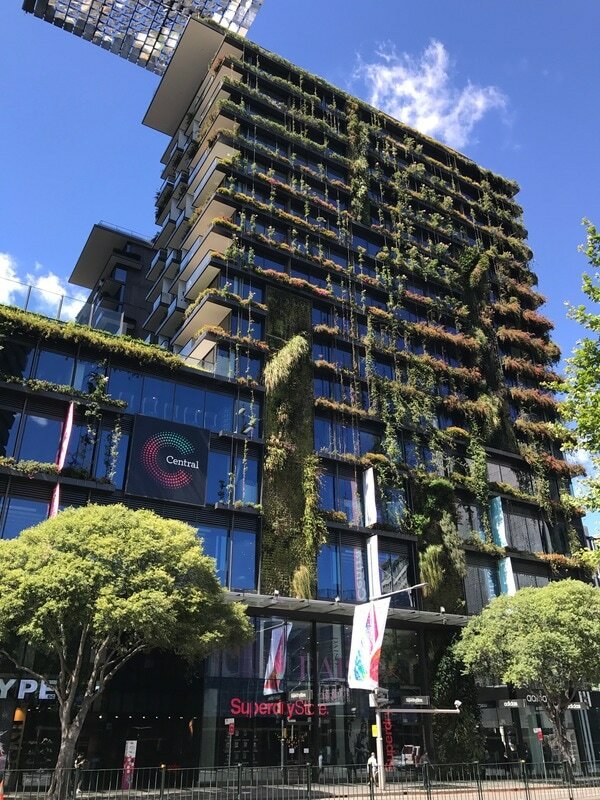 It’s Australia’s largest urban renewal project - the eight billion dollar Green Square scheme in Sydney - so it was a fitting location for our SFAUDI urban walk on Saturday July 14th 2018. Our members’ response to the transformation of this former industrial area into an attractive and sustainable urban environment was generally positive, in contrast to their concerns about the quality of the massive residential developments that have been built in Rhodes. The walk began at the new Joynton Avenue Creative Centre, formerly the Esme Cahill nurses quarters, which will provide artists’ studios, workshops and gallery spaces, and will also be available for community hire. The building’s transformation, which includes a dramatic canopy designed by Peter Stutchbury, extending from the arched windows of the original 1936 era facade, has drawn widespread praise, and won the Australian Institute of Architecture NSW Architecture Medallion. The walk continued to the unfinished Infinity building at Green Square Station, which will provide an innovative corner-piece to the new Green Square Town Centre - which is now finally underway after two decades of planning. Infinity has been designed by Koichi Takada Architects. The fluid form of the building, essentially two interconnected loops, is - according to Koichi Takada - designed to create a “seamless connection between the public and the private ......a haven for its residents but also an embracing and sculptural portal for the easy everyday flow into and out of its private, public, recreational and retail zones and its open, light-flooded heart”. Other developments nearing completion are the new library - designed by Stewart Hollenstein, and Mirvac’s 28 storey Ovo development, which in addition to being the tallest building in the new town centre, (a useful landmark for disorientated newcomers) will also include some affordable accommodation. The next destination on the walk was the East Village complex, whose shopping centre, with its distinctive “timber mushroom” columns, was also designed by Koichi Takada. The large numbers of people who already inhabit Green Square’s new apartments have already triggered the establishment of new cafés and restaurants, including Allpress Espresso on Epsom Road - where the SFAUDI grouped stopped for coffee, followed by lunch at Café Vité on Elizabeth Street, which has only be operating for twelve months. With 55,000 residents expected to occupy Green Square over the next twelve years, expect many more cafés, bars and restaurants to open their doors in the months and years ahead! After numerous attempts over the years to revive Newcastle’s CBD, New South Wales’ second largest city is finally reaching a tipping point to become an attractive place to live and work. Already, population pressures, traffic congestion and lack of housing affordability have prompted large numbers of Sydneysiders to head north, to enjoy a more affordable and relaxed lifestyle - the way Sydney used to be. On Saturday, April 28th 2018, SFAUDI members - including David Wilson of Transport for NSW - made the trip themselves to see some of the projects that are transforming the heart of the city. Chief among these is the Newcastle Light Rail Line, currently under construction, which will run 2.7 kilometres from the new Newcastle Interchange at Wickham to Pacific Park in Newcastle East, replacing the heavy rail line which created both a physical and psychological barrier between the waterfront and the city centre. 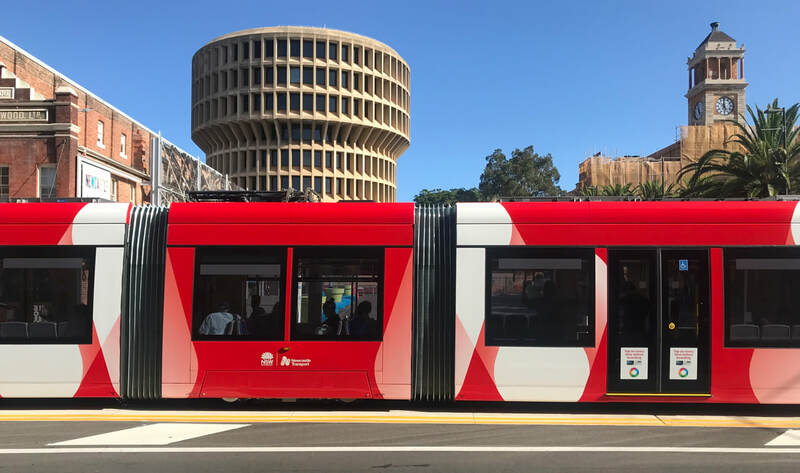 ​The light rail project is part of a $500 million program to revitalise the centre of the city and provide a catalyst for further urban renewal, as well as forming the basis for an extended light rail system in the future. SFAUDI members on Newcastle’s light rail construction site, with David Wilson of Transport for New South Wales, (fourth from the left.) In the background is the recently completed NeW Space - the University of Newcastle’s $95 million education precinct and city campus. A view of the Newcastle light rail line currently under construction, looking east along the light rail corridor in Hunter Street. The disused platforms of the old Newcastle Station, following removal of the heavy rail track. Various ideas have been suggested for the station’s future, including conversion into a space for cafés, eateries and an arts precinct. Dr Anuradha Chatterjee gave a well-attended talk to SFAUDi members on April 12th 2018 on the impact John Ruskin has had on architecture throughout the nineteenth and twentieth centuries. Dr Chatterjee is an architectural historian and theorist based in Sydney, and her talk followed the publication of her book “John Ruskin and the Fabric of Architecture” published by Routledge. UPDATE: On 25/05/18 Dr Anuradha Chatterjee announced that she had been elected a Companion to the Guild of St George (set up by Ruskin in 1871, 1878) and was now one of two Australians who are Companions. She was compelled by the premise that the Guild's "purpose has never been to pursue antiquarian projects" and that it "aims to work in the spirit of Ruskin's Company, promoting Ruskin's values in the modern world." She said it will be interesting to see how she brings her postmodern/ post structuralist/ feminist thinking to bear further upon unravelling the potentialities of Ruskin's writings. Nicholas Wolff, Project Director of the planned expansion of the Art Gallery of New South Wales, explaining to SFAUDI members on March 28th 2018 how the new gallery buildings will step down from the land bridge over the Eastern Distributor to a currently underutilised lower level currently occupied by two disused oil tanks constructed during the Second World War. One of the oil tanks will be retained and incorporated in the new Sydney Modern Project, which has been designed by Japanese architects Kazuyo Sejima and Ryun Nishizawa of Tokyo-based SANAA, who also designed the New Museum in New York and the Rolex Learning Centre in Lausanne. The Sydney Modern Project is intended to transform the Art Gallery of NSW into one of the world’s great art museums, enable it to host more major international art exhibitions, and create “a vibrant new cultural hub”. 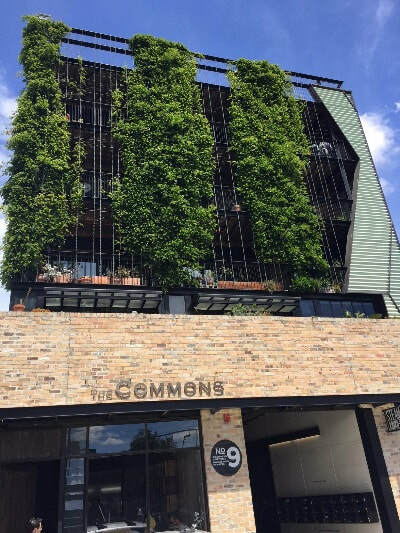 If the development goes ahead, all the buildings on the block, from the Empire Hotel on the corner of Roslyn Street and Darlinghurst Road, to the Fountain Café facing Fitzroy Gardens, will be razed. Only the curving facade of the Empire Hotel (formerly “Les Girls”) and parts of the late Victorian arcaded facade of the Bourbon building - which would be incorporated in the new development of luxury apartments, shops, cafés and restaurants, would be retained. A solution to dormancy? Greater Sydney will be a global metropolis of three productive, liveable and sustainable cities: Western Parkland City, Central River City and Easter Harbour City. A BELIEVABLE, LIVEABLE SYDNEY versus SUSTAINABLE MELBOURNE. From co-working to communal living, new strategies are emerging to tackle sky high urban property prices and rents, traffic congestion and urban stress. With "liveability" now attracting so much media attention, and with so much analysis of the ‘most liveable city criteria’, it's timely to look at what constitutes a good urban and suburban quality of life. To get an idea of how large areas of Sydney may look in 10 to 15 years time - take a train to Rhodes (or drive if you don’t mind being stuck in endless jams) and walk along the waterfront. That’s what a group of SFAUDi members did on October 28th 2017, and it was quite an eye opener. Reactions to the endless modern apartment blocks stretching along the waterfront, ranged from “a shocker” and “a missed opportunity” to “only good in parts”. But this is the future we’re facing as the NSW Government presses ahead with its policy of providing hundreds of thousands of new homes through densification and “priority precincts” with high rise towers clustered around railway stations and along transport routes. Already public unease at the rate at which suburbs are being transformed is showing signs of turning into outright opposition, especially where this transformation is not being matched by the construction of additional infrastructure to cater to the growing population. Yet with Sydney’s population continuing to increase, and the lack of affordable housing an increasingly politicised issue, the alternative to urban consolidation is new dormitory suburbs built on distant greenfield sites on the city’s periphery, which is hardly an ideal solution. ​At least in Wentworth Point and the western section of Rhodes, no existing community has been disrupted - the area was largely industrial until about 15 years ago - since when an entirely new urban environment has been created on land that was once the home of paint and chemical works, the Ralph Symonds plywood factory and other industrial facilities. And whatever one’s view of the aesthetics of an overwhelmingly modernist - some would even say sterile - built environment, and the absence of any new terrace housing - one of the most successful forms of medium density housing ever devised - considerable thought has gone into creating a sense of place, with the new low rise Rhodes Community Centre - The Connection - acting as a community hub, and the new car-free Bennelong Bridge linking Rhodes to the Wentworth Point peninsula - where the design quality of the new buildings currently under construction - compared with what’s been built in some other parts of Sydney - promises to be high. It’s a shame, though, that the only pre-existing structure of any “heritage” value - the former plywood factory - a building of real architectural distinction which would have made an excellent adaptable space for events - is to be demolished. ENGAGE with Sydney's leading urban design & architectural thinkers & writers. CONTRIBUTE to discussions around Sydney's urban design & architectural future. SHARE your expertise with some of the world's best architects, urban designers & writers. PUBLISH your ideas with the help of our professional editorial team. CLAIM Continuing Professional Development points for your SFAUDi activities. SFAUDi members who are registered architects in NSW are able to claim up to 5 hours CPD per registration year. On 15 June 2018, it was announced by the Roads and Maritime Services (RMS) that BridgeClimb Sydney had been unsuccessful in its bid to win a new 20 year contract to operate on the Sydney Harbour Bridge. The world famous experience was also a world first, pioneered and brought to government by BridgeClimb Chairman and Founder Paul Cave. BridgeClimb has summited 4 million Climbers from over 140 countries since opening on 1 October 1998. 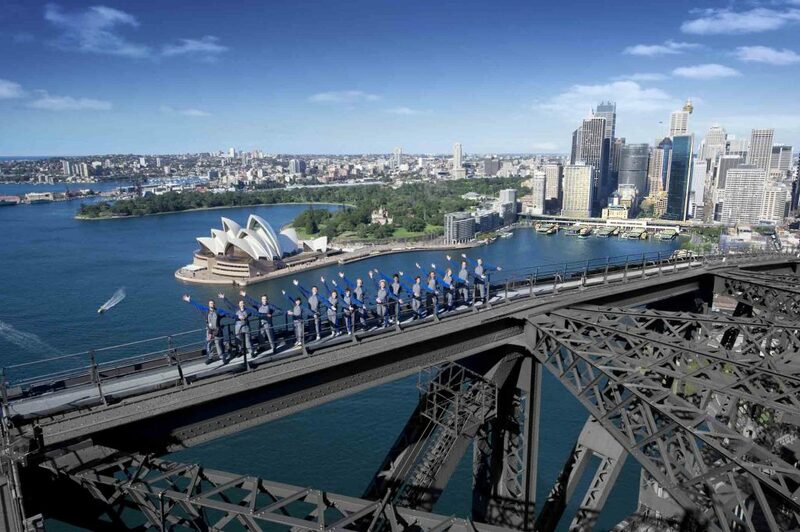 BridgeClimb turned the Sydney Harbour Bridge from a postcard to a global bucket list experience. The Climb is renowned as a world class experience and operation, and has an unblemished safety record, without one serious injury in 20 years. Every aspect of the experience has been carefully crafted and endlessly innovated by BridgeClimb. For all Customers booked up until 30 September 2018, BridgeClimb will be Climbing as usual. For any customers with Climb bookings for after 30 September 2018, BridgeClimb will be in contact when there is further clarity regarding these bookings. You really have to look hard for this one, nestled behind the southern end of Pitt Street. But it's the location for three Asian restaurants, and its proximity to China Town ensures a steady stream of customers - especially during the busy lunch hour. Who remembers Charlie Brown's Wine Bar in Penfold Place? With its crimson facade (of which a tiny fragment is still visible), elegant interior and crisp sound system, it was the place to go for lunch or after work. But that was nearly 50 years ago, and it presents a sad spectacle today. At a packed public meeting of Parramatta Council on Monday July 10th 2017, speaker after speaker - including a direct descendant of one of the inmates of the Female Factory, local residents, and representatives of the National Trust and the Australian Institute of Architects, spoke out against the overdevelopment of the Cumberland Hospital site - one of the most significant and sensitive heritage sites in the country. However, the government appointed Administrator of Parramatta Council, Amanda Chadwick, announced last night that she would press ahead with the Development Control Plan for the North Parramatta heritage precinct. The president of the North Parramatta Residents Action Group, Suzette Meade, said it was "deeply disappointing that the Administrator had decided not to facilitate a fair and democratic decision making process for our community." Despite an ominous forecast of heavy rain, there was an enthusiastic turnout for the SFAUDi excursion to Parramatta on Saturday May 20th - with fifteen members and friends converging on Lachlan's café at Old Government House - some by RiverCat ferry, others by the less picturesque but significantly speedier train connection. On the way to Lachlan's café, the group inspected an exhibition at Parramatta Town Hall promoting the proposed developments at the historic Cumberland Hospital site, with the tour continuing after lunch to Cumberland hospital itself, where Suzette Meade of the North Parramatta Residents Action Group, explained why her group is vigorously campaigning against the plans on the grounds that the proposed high rise buildings would be too high, too many, out of character, and would compromise the integrity of a highly sensitive and historic site. Because of an interruption to the rail service the group travelled back to Sydney by ferry - after drinks on the the Port Bar terrace overlooking the RiverCat wharf. It was an informative and enjoyable day out - and it didn’t rain! 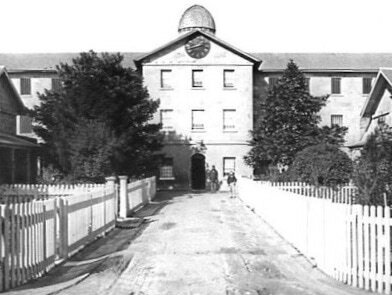 Dr Terry Smith on Cumberland Hospital's hidden heritage, and its historic links with Parramatta's Female Factory. The main section of the Female Factory that was built at Parramatta in 1818, and designed by the convict architect Francis Greenway. This central block no longer exists, but several associated buildings dating from the same period have survived - although in somewhat altered form. Just a few of the SFAUDi members and friends who travelled by RiverCat to Parramatta on May 20th - others went by the faster but less scenic train. Our Berrys Bay walk on Saturday August 8th, 2016, happily coincided with some sunny weather, giving us an excellent opportunity to see how a BP oil storage facility was removed to make way for an impressive coastal park. It also enabled us to assess how this very small bay would have been ruined by a proposed 84 berth super yacht marina taking up 32,000 square metres, which was recently refused planning permission. SFAUDi's band of intrepid flâneurs completed four walks in 2016, including Central Station to Barangaroo (see below), Kings Cross and Potts Point on May 5th, and Central Park and Chippendale on June 9th. They've all been an excellent opportunity to explore the often overlooked details of an urban landscape, and also to witness the extraordinary changes taking place in our city. SFAUDi members on their Central Station to Barangaroo walk on Friday March 17th, 2016, which culminated in dinner at Anason Turkish restaurant on the new Barangaroo promenade. There were many forcefully expressed opinions on the quality - good or otherwise - of the many new buildings under construction along the western edge of the city, from Darling Square through Darling Harbour to Barangaroo. Above, King Street, Sydney in 1901, looking west towards Pitt Street. Several of the buildings have survived, although some in altered form, including the facade with the electric sign celebrating Federation. The building on the corner of King and Pitt Streets once had a cupola-topped tower, which was later removed. The cable tram ran from Ocean Street, Edgecliff to Darling Harbour. Below: King Street today. Urban Planner Rodney Jensen looks at two areas of the city that are undergoing a major transformation. Any visitor to the St Leonards / Crows Nest locality on the Lower North Shore of Sydney cannot but notice the extremely rapid conversion of aging commercial sites into high rise development. There are cleared sites and very tall cranes everywhere. A short while ago I took a walk in the area close to St Leonards Station and noticed four sites which within the space of 3-4 years will dramatically change the face of this locality. The most dramatic change will result from a new Mirvac development located on the southern side of Pacific Highway close to the St Leonards Station, It is a vast hole in the ground at the moment and the new high rise redevelopment will certainly be an un-missable landmark in the future. Another site also on the southern side of Pacific Highway but on the other side of the railway track is also a big hole in the ground with Loftex signs plastered over the emerging lift cores. Local residents are concerned about the precedent this site will create and I've been informed that there are plans to entirely redevelop the suburban lots to the south of Marshall Avenue as well. Moving further into Crows Nest there's a large high rise development well under way in Oxley Street. 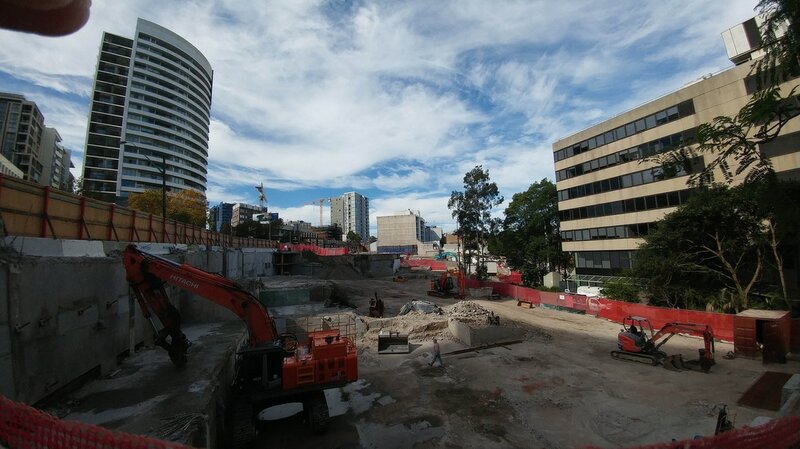 Similarly the former IGA supermarket and shops land is now a big hole in the ground and is to be redeveloped with a new regional centre to counter-balance the recent redevelopment of Woolworths at the Southern Exremity of Willoughby Road. There are other sites on the books in Atchison Street and to the North of St Leonards Station which are in suspension having been rejected by the State Government. Similarly there is an enormous block of vacant land at Gore Hill (the former ABC TV land) which is in stasis while the owner decides whether or not to proceed with plans for new commercial space. Never was there a time for a more visionary approach to developing this sub-region, rather than allowing the market to take complete control and rip into the area on a site by site basis. The cumulative effect will inevitably be a chaotic and unplanned mess. I was recently invited to a sneak preview of the new Trade and Convention Centres at Darling Harbour as well as an overview of the Tumbalong Park focus. My pictures tell the story. They are big buildings by any world standards. Neither building is much to my design taste, particularly the new convention centre which looks like a box pretending to be a concertina. The huge open plaza located above the roof of the Trade Centre at its southern end takes your breath away in terms of size and emptiness. Brutal and monumental are the words that come to mind. It will be interesting to see what use the public makes of this. The internal spaces seem to have no expense spared and are spacious and well appointed, and it was fascinating to watch a new exhibition taking shape in one of the enormous new exhibition halls, scheduled to open later this month. Was it worth ripping down a perfectly good trade centre to achieve this? I'm not totally convinced and my heart goes out to Phillip Cox whose work was treated with such cavalier disdain. I am also less than impressed with the needless removal of a line of eucalypts that used to encircle Tumbalong Park on its western flank and had been growing there successfully since Darling Harbour first opened - gone for no good reason that I can see. Founded in 1946 by Sir Ove Nyquist Arup, the Arup Group now has more than 14,000 staff in 42 countries. Its chairman is Greg Hodkinson, and Hamish Robertson spoke to him in London about how his engineering company has ambitions to reshape our world. See also Arup's own vision in its report "Cities Alive". The Pacific Bondi Beach complex on Campbell Parade, Bondi, is an improvement on the structure it's replaced, the former Swiss Grand building. It also continues the 1930s modernist beach architecture theme evident in other recent developments in Bondi. Compare and contrast with the De La Warr building in Bexhill, UK, designed by Erich Mendelsohn and Serge Chermayeff in 1935 (below). AWNINGS: VISUAL BLIGHT OR MUCH-LOVED STREETSCAPE FEATURE? For more than a century it's defined the Aussie streetscape - the ubiquitous awning. This chic and cleverly designed café in Sydney's Bondi Road uses the curving overhang of the rounded apartment tower above to shelter its patrons from the harsh sun - no need for an awning. Apart from a handful of abandoned stations, little remains to remind us of Sydney's monorail, once a major tourist attraction until it was dismantled a few years ago. ​This video, taken on a rainy winter's evening in June 2013, only a few weeks before the demolition crews moved in, shows a monorail train as it prepares to leave the Galleries Victoria station in Pitt Street and travel towards Darling Harbour, as rush hour crowds battle the rain to head home. This video of Sydney dates from December 1993, and shows just how much a city can change in a generation. Kerri Ainsworth on seeking artistic inspiration from the colonial architecture of San Miguel de Allende and Guanajuato in central Mexico. ​If architecture is one of the most important sources of knowledge of the past, a museum of architecture would not only educate the public about the benefits of good design, but also increase appreciation of a nation’s architectural heritage. CHRIS JOHNSON, former NSW Government Architect, and CEO of Urban Taskforce Australia, describes how more sinuous, curvilinear forms of architecture are evolving in Sydney, in this article published in Urban Ideas magazine in August 2015. Click here for a link to the article. More than two hundred people attended the Save Our Sirius drinks party during the course of Friday evening, (02.06.17) - enjoying wine, beer and large quantities of barbecued sausages - an impressive demonstration of support for the campaign to save the now world-famous building. As an added bonus, Sirius was brilliantly illuminated as part of the Vivid Sydney outdoor lighting festival. We asked some of the guests at the Sirius party why they believed the building should be saved from demolition. As co-founder of the Congress for the New Urbanism in 1993, Stefanos Polyzoides is sometimes referred to as the "Godfather" of the New Urbanism movement - a title with which he's not entirely comfortable, given its Mafia connotations. But he is doubtless one of the most influential architects practising today - and New Urbanism, although controversial and rejected by some architects, planners and developers, is still making a significant contribution to the built environment. The CNU's philosophy is in sharp contrast to that of an earlier Congress - le Congrès Internationaux de l'Architecture Moderne, or CIAM, founded in Switzerland in 1928 under the leadership of le Corbusier, and intended to promote the ideas of the Modern Movement, such as those embodied in le Corbusier's unrealised plan for "la Ville Radieuse", and which has been especially influential in Australia since the 1960s. 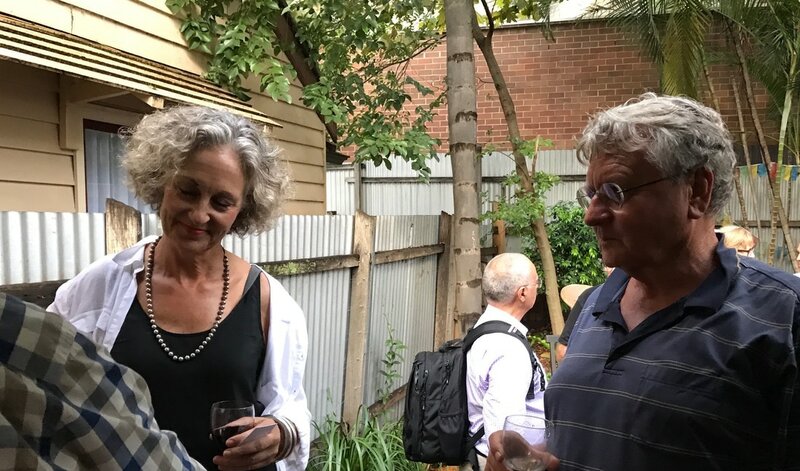 In Sydney to address a seminar at the University of Sydney, Stefanos Polyzoides took a break from the drinks party in his honour to talk to SFAUDI's Hamish Robertson. With the benefit of hindsight, has New Urbanism fulfilled its early promise, or has it only been partially realised as an architectural and design movement? ​Below: Thermae Bath Spa, Bath, UK, designed by Grimshaw. Sloppy Joe's was once one of the world’s best known bars - catering to thirsty American tourists during Prohibition, frequented by celebrities like Ernest Hemingway and Frank Sinatra, and immortalised in the movie Our Man in Havana, which was filmed in the Cuban capital only months after the revolution in 1959. The bar struggled on for a few years, but a fire, the loss of its American patrons and Castro’s nationalisation of private businesses finally closed its doors in 1965 and for more than forty years it stayed shuttered and derelict. However, work to restore the decayed building began in 2007, and in 2013 it finally reopened to serve mojitos and other classic Cuban cocktails to enthusiastic tourists - although probably not to too many locals, given that a Sloppy Joe’s sandwich would take a sizeable bite out of a month’s salary. The many guests who attended SFAUDi's drinks party on February 17th, were clearly not deterred by the violent storm that had swept across Sydney a few hours earlier. Not only SFAUDi members, but also friends and supporters crowded into the rear patio of SFAUDi Vice President Anne Warr's Millers Point home, including former Sydney Deputy Lord Mayor John McInerney - recently awarded the Order of Australia (AM) for services to urban planning and design, and Andrew Andersons, designer of two extensions to the Art Gallery of New South Wales. Also present were SFAUDi founding member Roger Barrett and his wife Danielle, who are currently based outside Montevideo in Uruguay, and members of the Millers Point Residents Action Group. SFAUDi founding member Roger Barrett (centre left) and Prof. Dr. Karl Fischer, a visiting professor in the Faculty of the Built Environment at the University of New South Wales (centre). 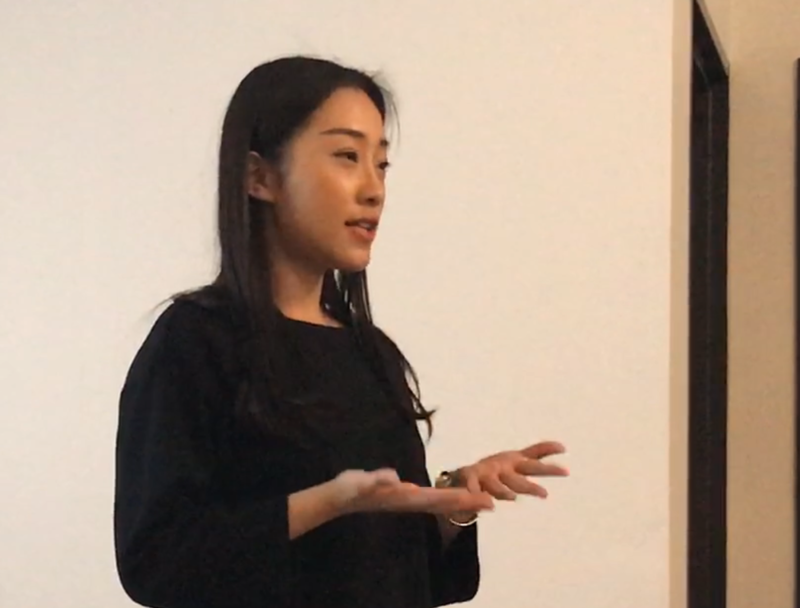 The SFAUDi talk by Di Wu on August 17th, 2017, was well attended and was followed by a lively debate on the future of the Sirius apartment building, and whether it could be retained with some additions or modifications. Sydney's landmark Sirius building - familiar to anyone regularly crossing the Harbour Bridge, faces an uncertain future, with nearly all its residents relocated to public housing elsewhere in the city. As conservationists continue to lobby for its preservation, SFAUDi visited the Tao Gofers-designed brutalist apartment complex on March 21st during a violent thunderstorm - the latest to hit the city over the past month. John Dunn (left) of the Save our Sirius Foundation, explains the building's history in an upper lobby. The relocation of the residents of Sydney's Sirius building has broken a link with the past - many of their families had lived in the historic Rocks neighbourhood for generations. 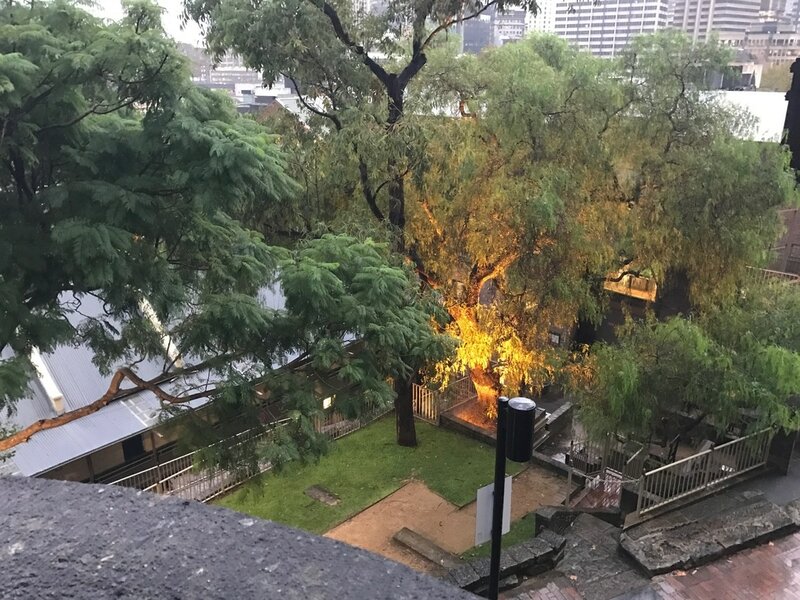 We spoke to the apartment building's one remaining resident, Myra Demetriou, who is continuing to hold out in the otherwise deserted building in her flat up on the tenth floor. The view from Myra's tenth floor flat. SFAUDi SUBMISSION TO THE NSW DEPARTMENT OF PLANNING AND ENVIRONMENT'S DRAFT STATE SIGNIFICANT PRECINCT STATE ENVIRONMENTAL PLANNING POLICY (SSP SEPP) TO APPLY CERTAIN PLANNING CONTROLS TO THE SIRIUS SITE. SUBMISSIONS CLOSED ON 16.02.18 AND FEEDBACK IS NOW BEING CONSIDERED. The Sydney Forum for Architecture and Urban Design Incorporated - SFAUDi - is a not - for - profit media and design leadership association, dedicated to promoting research and discussion of architectural and placemaking issues concerning Sydney, as well as other cities a cross the globe. It was founded in 2008 by architect Roger Barrett, with support from writer Marie Geissler, architect Frank Stanisic and architectural writer and editor Paul McGillick to provide an independent voice, detached from the mainstream architec tural establishment in Sydney. SFAUDi is also a publishing vehicle which acts as a "clearing house" for ideas and opinions on city issues. It takes a whole - city, inter - disciplinary approach, recognising the importance of point - to - point global, urban rela tionships, and acknowledging that urban dwellers identify as much with their city (sometimes more so) than with their national identities. Although SFAUDi's main area of interest incorporates the entire geographic area of greater Sydney, it also aims to l ink city - based groups in other selected cities. The mission of SFAUDi is to raise awareness of Sydney as an entity, in particular its architectural, artistic, urban and landscape legacy. The aim is to help develop the quality of cultural life for Sydney siders to a level aspiring to other great cities such as London, Paris, New York and Tokyo, while recognising the constraints and opportunities of the comparatively new, raw and isolated character of Sydney, and its smaller population. Our vision is for S ydney to simulate the power of other great global metropolises as a generator of economic and cultural growth. Heritage consists of those places and objects that we as a community have inherited from the past and want to hand on to future generations. The Heritage Division (OEH) works with co mmunities to help them identify their special places and objects. The particular community that has occupied the Sirius building since 1980 has identified Sirius as a special place that they would like to see protected and to continue as a place of low co st and affordable housing. SFAUDI entreats the NSW State government to follow its own published commitment to support community led heritage. Sirius has been identified by numerous community groups as being of heritage significance, as shown below. SFAUDI supports these groups in their identification of Sirius as item of heritage significance, and a place worthy of protection and conservation. 3.0 SFAUDI supports the retention of Sirius as a heritage item of State significance. • The National Trust of Australia (NSW) listed the Sirius building in 2014. • Doc omomo Australia – has listed Sirius on its Register of significant buildings of the modern movement. • In 2017, T he World Monument Fund listed Sirius on their 2018 Watch List. precious. These places of cultural significance must be conserved for present and future generations in accordance with the principle of inter - generational equity. (2) Each government instrumentality is responsible for ensuring that the items entered on its register under section 170 and items and land to which a listing on the State Heritage Register applies that are under its care, control or management are maint ained with due diligence in accordance with State Owned Heritage Management Principles approved by the Minister on the advice of the Heritage Council and notified by the Minister to government instrumentalities from time to time. (3) The Heritage Council can from time to time issue heritage asset management guidelines to government instrumentalities, being guidelines with respect to the conservation of the items entered on registers under section 170 and items and land to which a listing on the State Herit age Register applies that are under the care, control or management of the government instrumentality. The guidelines can relate to (but are not limited to) such matters as maintenance, repair, alteration, transfer of ownership and demolition. A government instrumentality must comply with the guidelines. If the state government is not going to manage its own heritage listed buildings according to its own Heritage Act and Asset Management Guidelines – then we see a breaking down of the laws of the state. Th is is an untenable situation for a responsible government to be putting itself in. The first rule in managing heritage assets is to ensure that the values of the place are understood thoroughly, and the best means of doing this for a building as importan t as Sirius, is to prepare a Conservation Management Plan. This is a priority for Sirius, and should be undertaken before the property is sold. By so doing, the government will be complying with The NSW Heritage Sct, section 170, and with its own Asset Man agement Guidelines. There are so many mistakes, inadequacies and oversights in the HIS prepared by Architectural Projects, that SFAUDI calls for the State Government to engage new heritage consulta nts with sufficient expertise to prepare a professional heritage appraisal of the SEPP. This will ensure a level of peer support for the SEPP and will demonstrate that the state government is committed to ensuring that a fair and professional approach to t he SEPP is being undertaken. 1. The HIS only addresses one of the scenarios presented in the SEPP – the demolition of Sirius, and does not address the second scenario – the retention of Sirius. 2. 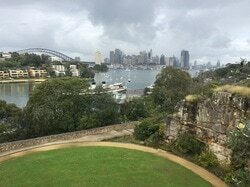 The Statement of Significance (AP HIS Nov 2017: 7) refers to the Rocks as ‘a precinct of national cultural significance’ , when the Rocks is listed by NSW Property as of Local significance (the state government has repeatedly refused to recognise and list the Area as being of state significance). 3. Page 21 of the HIS states: ‘The Sirius building and site is not identified by statutory protection provided pursuant to the NSW Heritage Act and is not identified as an item of state heritage significance . As such no constraints apply .’ However, the building has been listed on the Section 170 Register of the Land and Housing Corporation since 1995 , thereby making it subject to the NSW Heritage Act. 4. The HIS state s that the building and site is not classified by the National Trust (NSW) – when it was listed by the National Trust in 2014. 5. The HIS states that the building is not listed as significant on the AIA Register of Significant Architecture, when it is listed as item no. 4703569. 6. The HIS state s that the building is not listed by the Art Deco Society of NSW – a superfluous statement given it is not a 1930s Art Deco building. 7. The HIS completely fail s to mention the 2 significant and relevant registers of 20 th century structures: DOCOMOMO 1 and The Twentieth Century Society 2 . To demolish a building of acknowledged ar chitectural qualities and replace it with a building that aligns with 88 Cumberland Street, a recently constructed building of no architectural merit, in order to establish uniformity in a historic area renowned for its many varying layers of significance, seems to be lacking in any understanding of the value of The Rocks as a place of cultural significance which proudly displays more than 200 years of a vastly non - uniform history. And then give s them no voice or recognition i n the Heritage Impact Statement , and does not mention the social significance . ‘Conservation can be regarded as the management of change and can be applicable whether or not the building has reached the threshold for listing as a heritage item or as a contributing component of a streetscape or Conservation Area. Any future refurbishm ent or development of the Sirius site should be carried out in accordance with the principles of the Australia ICOMOS Charter for the Conservation of Places of Cultural Significance (The Burra Charter) as revised in 2013. 2) The site to be conserved in accordance with the Burra Charter – meaning in accordance with its significance – which has been wi dely acknowledged as having architectural, historic and social significance, and therefore should be retained. ‘ The Rocks is an area of national cultural significance (despite the government continually refusing to recognise thi s and raise the listing of the Rocks from Local to State significance) and as such, it is desirable that it continues with the majority of the area in public ownership’. So why is the government proposing to remove the Sirius building from public ownersh ip when its own heritage policies advise against it? • ‘The Rocks should be retained and conserved to ensure there is ability to reveal heritage information to current and future generations about Australia’s cultural background’. The Sirius building is a n important part of the history of the Rocks and reveals information about governm ent policies towards the residents of the Rocks from the 1970s onwards. This is a widely acknowledged part of the significance of the Rocks. Then why is the government active ly ignoring its own heritage policy and destroying a significant part of the history of the Rocks? ‘Conservation Management Plans should be prepared for individual heritage items in accordanc e with the NSW Heritage Council policies and guidelines of the Burra Charter of Australia ICOMOS’. Agreed. The Sirius building is of widely acknowledged heritage significance and as such should have a CMP prepared to guide future actions on the building – and certainly before any sale of the building. • ‘A proactive approach should continue to be taken to interpretation of the history and heritage values of the Rocks’. Presumably such interpretation will include the important stories regarding the saving o f the Rocks by community groups which led to the construction of Sirius, and the determined efforts that community groups put into saving the Sirius building , 38 years later . The Place Economy: The Real World Social and Economic Benefits of Effective Placemaking Andrew Hoyne (Ed.). Published by Andrew Hoyne Design. These two modernist apartment blocks are separated by more than 70 years and the Pacific Ocean. But they have a number of things in common: they are both located in the Southern Hemisphere; they both have vertical louvres facing approximately north west, and they both clearly display the influence of Charles-Édouard Jeanneret - a.k.a. Le Corbusier. Top image: Dominion apartments in Bourke Street, Sydney, designed by Group GSA architects, completed in 2013. Below: Edificio Los Eucaliptos, Calle Virrey del Pino in the suburb of Belgrano, Buenos Aires, designed by Juan Kurchan and Jorge Ferrari Hardoy in 1941, who are nowadays better known for their BKF Butterfly Chair, specifically designed for Edificio Los Eucaliptos. How everyone benefits from "place visioning" - creating great places where people can enjoy working and living. Andrew Hoyne, of Australian branding and place visioning company Hoyne, gave a stimulating presentation to a SFAUDi gathering at his office in Sydney last Thursday, (13.07.17), to coincide with the publication of his latest book The Place Economy. (See Paul McGillick's review). The Place Economy argues how achieving just the minimum requirements in a development is actually counterproductive - extra effort in getting the best possible outcomes, in terms of cultural and human connections, first rate architecture, best practice planning, materials, amenities and green space, not only results in greater profits, but also leads to better emotional and physical health, as well as sustainability. "The Place Economy" is available directly from Hoyne Design, www.theplaceeconomy.com.au. Each copy costs $200, all of which goes to charity.